strategically placed around the Mallorcan coastline. 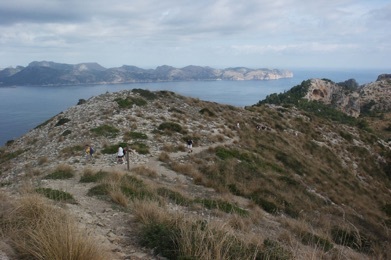 Our walk starts at arguably the best beach on the island "Mesquida" and that is where we find a prominent hill that is begging to be climbed "Son Jaumell". These are a selection of walks on offer. The decision on where we walk each day is down to Rich - our guide. It will depend on things like the weather and general conditions. Please use these as a guide. 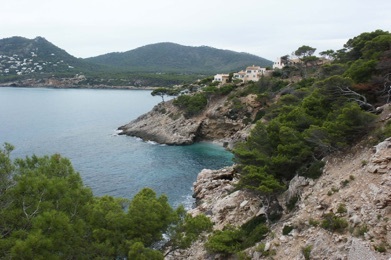 On the other side of it we find pine woodland, that takes us down to the inlet of Cala Molto, with its intense aqua marine colours. A short stroll and we invade Ratjada to collapse by its pretty marina with a rewarding drink. 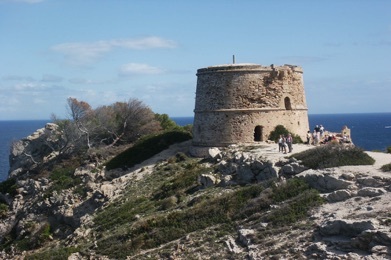 Recently declared a protected natural park, the Arta coastline and a fair amount of the interior provide the backcloth for this interesting walk to a little known walking part of the island. The fields we pass have an almost North African look to them. 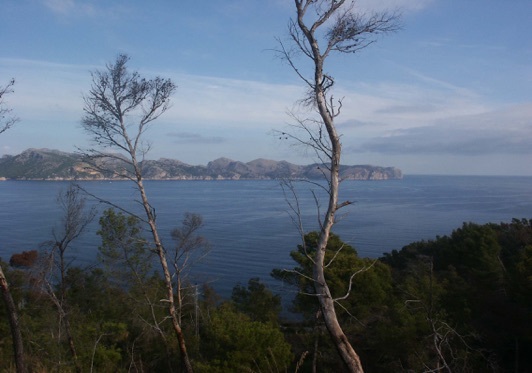 This is as near as you'll get, to visiting another island whilst not leaving Mallorca's shores. The main crops that line the way, are Figs / Prickly Pears and Almonds, until our return via an old fisherman's coastal path. 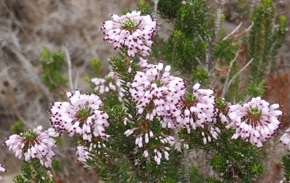 This peak is the highest in the Arta range of hills at 561 metres. The path travels through a ravine to arrive at a tiny shrine with its own spring! We’re up high for most of the day on rugged, pathless terrain right until we reach the summit after a short, steep climb. 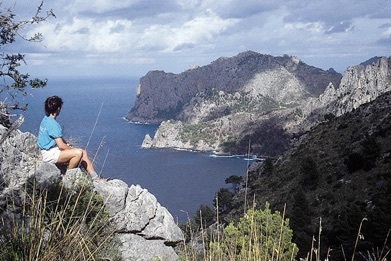 The view are very surprising as most expect scenery like this only in the west of Majorca. We make our return journey along the cliff edge, but on better ground and this section is truly breathtaking. The Artana range of mountains across to the east are gaining increasing popularity amongst visiting walkers and of all the things you can do in the area - the Peak of Farrutx is a must. 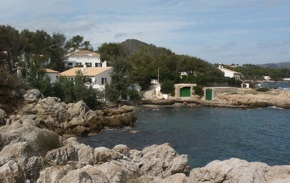 We start near the small village of Betlem facing the bay of Alcudia. A very accessible ravine takes us up to the Binialgorfa sanctuary and from here in - we’re up high for most of the day. The rocky sculpture of Farrutx is unmistakable and a delight to walk along.